We add this liquid sizing to pulp in order to make the finished paper less absorbent, so that ink or paint does not run or feather. 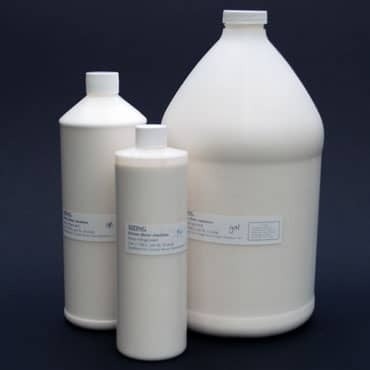 It is a ketene dimer emulsion that has a neutral pH and meets archival standards. We add sizing to pulp at the end of the beating or mixing cycle. Should be refrigerated. Directions included.